Financial donations are a huge help for us to be able to serve in full time missions. 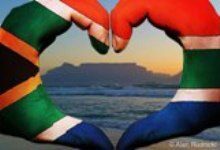 we are not allowed by the South Africa government to earn an income while serving through our volunteer visas. Therefore, your financial giving helps to support our monthly costs of living so that we can focus on what God has called me to. My home church, Brentwood Baptist, has an easy online way for you to give. Once clicking on the link you can establish an account if you wish to partner with us through a scheduled payment or you can chose the one time financial gift. Please make sure designation is noted for “Dustin Denning”. Support gifts given through Brentwood Baptist are tax deductible. If you prefer to give via check you can do that also. Make checks payable to Brentwood Baptist Church and in the memo line of the check make sure to write “Dustin Denning Support”.